Known for their artisan ice cream and flavor collaborations, Portland’s Salt & Straw opened its third brick and mortar location here in Stumptown on Division Street. Working with interiors company, Osmose Design, we created a waffle-like pattern in relief which wraps the walls and ceiling. It’s almost good enough to eat. 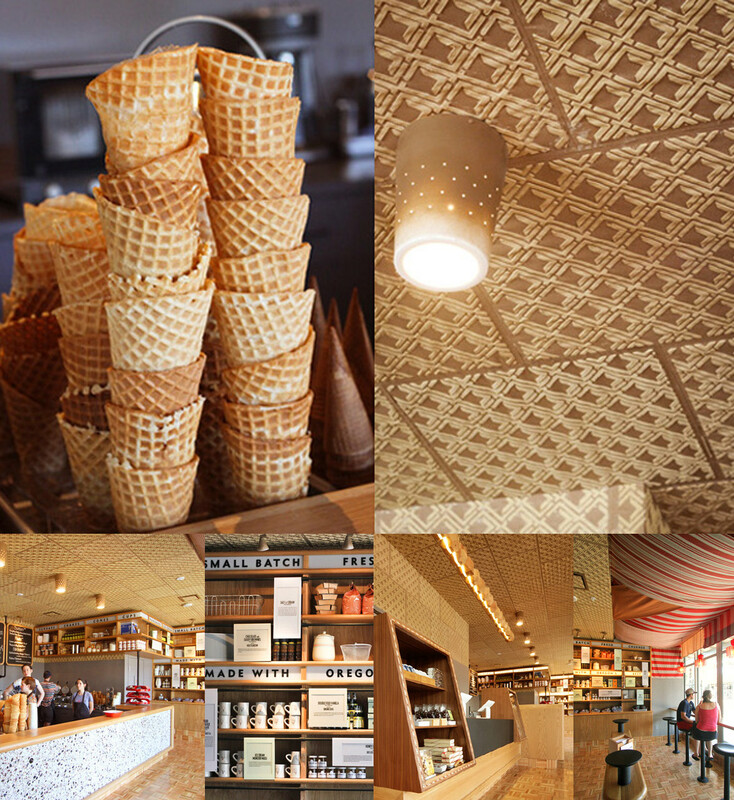 Interior Design Magazine has awarded Salt & Straw Best of Year Honoree for eatery concepts created in 2013.